It is about time to post an update on my monster research. This Spring, I travelled to conferences to share my research about monsters, and to discuss and develop it with an international roster of colleagues. And once again, I was pleased to see that video game monsters are attracting more and more scholarly attention. The first major event was the SCMS (Society for Cinema and Media Studies) conference in Toronto in March 2018, where I chaired the panel Demystifying Video Game Monsters. In fact, it was not the only panel on video game monsters at this conference. I had the pleasure to attend the panel Monstrosity, Disability, and Mental Illness: Unpacking Gendered Tropes in Video Games, with Sarah Stang (York U, Canada), Adan Jerreat-Poole (McMaster U, Canada) and Rebecca Waldie (Concordia U, Canada). Sarah’s talk utilized the concept of monstrous-feminine (introduced by Barbara Creed) to a great effect. Sarah spoke of the stereotypical feminine monsters in video games, mentioning the influence of the “hagsploitation” horror films and the “brood mother” monsters in Dragon Age: Origins. She also noted that fat women are almost invariably monsters in games – which I think relates to the standardization of 3D meshes for human characters, making any non-standard shape monstrous. Adan talked about the character of blood mage Merrill from Dragon Age 2 and the representation of the female body as a site of conflict. The connection between self-harm and blood magic is a strong theme within the game, and Merrill and blood mages are abjected by the rest of the society. Rebecca Waldie discussed mental illness as a sign of monstrosity and a way of othering male characters in games, specifically using the example of Until Dawn. In our panel Demystifying Video Game Monsters, I was joined by Daniel Vella (U of Malta), Sarah Christina Ganzon (Concordia U) and Carly Kocurek (Illinois Institute of Technology). I presented my research on the representation of monsters in Dungeons & Dragons. I pointed out the immense influence of D&D’s Monster Manuals on representation of monsters. I argued that through monster manuals, D&D created a specific language to describe and invent monstrosity, but at the same time made it fit into formulas and spreadsheets. It opened the door to immense creativity, but also clearly positioned the monster as a defeatable object of player action, therefore diminishing its transgressive and disruptive nature. Daniel spoke about the ethical and aesthetic relationship between the player and the monster in Team Ico games (Ico, Shadow of the Colossus, and The Last Guardian). These games complicate the relationship between the ludic subject and the monstrous that I had sketched out. Here, it is not the monster who intrudes. On the other hand, the player character intrudes into a monstrous world and is submitted to monstrous powers. 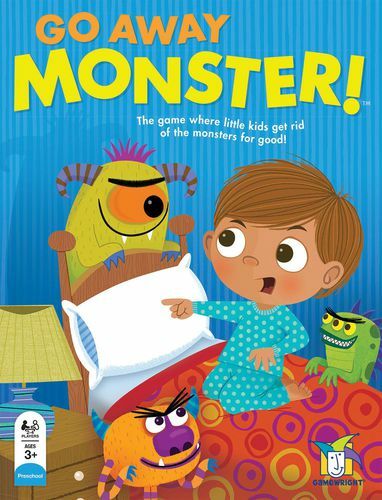 In effect, the monstrous complicates and disrupts player’s ludic self. Sarah talked about female demons as main characters, specifically in the game Hakuoki: Demon of the Fleeting Blossom. The title’s main character, Chizuru, comes from a lineage of oni demons. Her partial monstrosity is utilized to make her outlive other (male) leads and be a witness and storyteller. But at the same time, her monstrous powers are rarely used in the game, and she often performs the stereotypical female roles of a mother, lifegiver or a damsel. Carly focused on “cute” monsters in children’s media and games, including the Monsters, Inc. franchise and the Go Away Monster! board game. She pointed out that representations of monsters can promote diversity and acceptance of the other. At the same time, she asked if the proliferation of cute monsters does not weaken the original cultural work of the monster – the experience of horror and fear. Apart from the two monster panels, I very much enjoyed two other monster-related talks. One was by Jedd Hakimi on extras in movies as “others”. He compared extras in Truman Show with video game NPCs, pointing out the uncanniness and artifice in both. The other was Amanda Phillips’ talk on the “anatomical fictions” of X-ray damage representation in video games such as Mortal Kombat, and what they tell us about the mechanics of death in games (or what she calls mechropolitics). 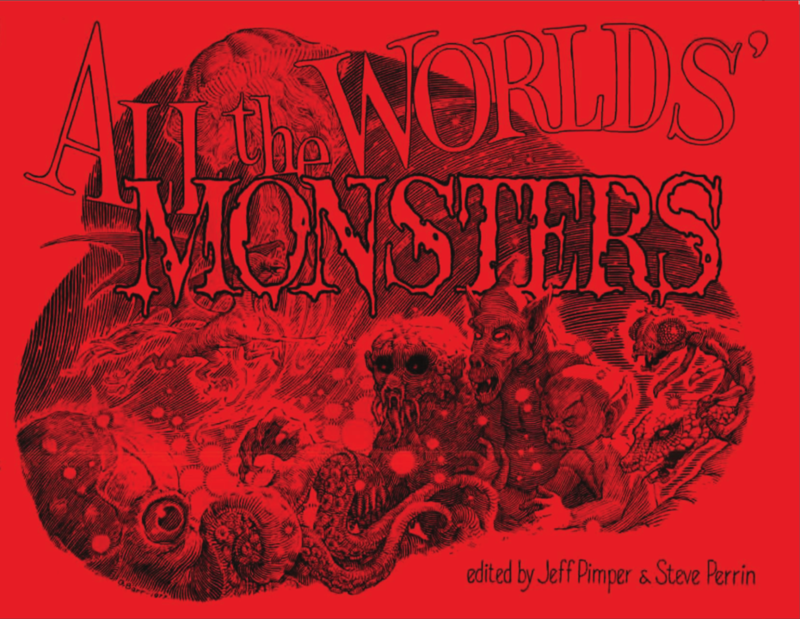 That talk proved to be an inspiration for my thinking about monsters and death, and the fantastic anatomies of monsters. There were, of course, many other great papers at the conference, but these were the ones that were closely related to my monster research project. In May, I went to Moscow for the third annual game studies conference organized by the Moscow Game Center, with a special focus on death and macabre aesthetics. After a day-long workshop on games and geopolitics with keynotes by William Huber and Paweł Frelik, the main program opened with a keynote by Karin Wenz (Maastricht U), who approached death in games from a player studies perspective, and discussed the meanings and practices around death in MMORPGs. Later during the day, Alexander Vetushinskyi (Lomonosov Moscow State U) gave a knowledgeable account of the history of horror games that could be a good companion to the one written by Carl Therrien. Renata E. Ntelia (U of Malta) talked about the “Ostracization of Death” and discussed our overexposure to death in games. Paraphrasing Giorgio Agamben’s work on Auschwitz, she noted that video game enemies do not die – they produce corpses. Another inspiring talk was by Margareth Skomorokh (St. Petersburg State U) on “Masocore and Zombie Gaming.” She contrasted ultra-difficult masocore games with what she calls “zombie gaming”, or repetitive, standardized mechanics of mainstream commercial games that make players into zombies. On the second day, Daniel Vella (U of Malta, a recurring character in this post!) gave a keynote about the aesthetics of ruins in video games, exploring the relationships between the ludic subject and ruins. I was particularly inspired by the notion of “monstrous ruin sentiment”, or the experience of encountering ruins that are confounding and profoundly mysterious. Leonid Moyzhes (Russian State University of the Humanities) talked about “other gods” in Sunless Sea as sublime agents whose goals are unclear and who interact with the player in unpredictable ways. They are also never seen, making them even more mysterious. My own contribution was about death and life cycles of monsters in video games. I looked at a selection of single-player games, coming to the conclusions that (a) killing monsters is gratifying (and compulsory), (b) monsters appear and disappear “unnaturally” (for example by respawning), (c) monsters turn into resources and (d) monsters are potentially infinite. These features of in-game monsters are very similar to our relationship with non-human others such as animals (unfortunately). Apart from bosses, monsters in games serve very utilitarian functions – they give us something to do, they get killed in a way that is entertaining, then disappear, and quite often respawn. We do not have to think about the balance of the environment, or about their possible extinction. In this Moscow presentation, I tested some of the ideas I want to develop in my future talks about monsters. Stay tuned for monster news! This entry was posted in Academic stuff, Events, Theory and concepts by Jaroslav Švelch. Bookmark the permalink.